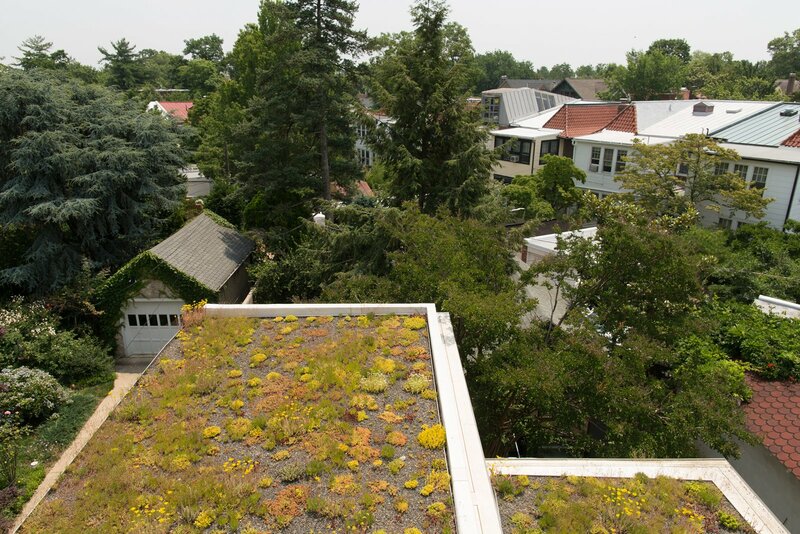 For the green roof, the family received a subsidy administered by DC Greenworks and funded by the DC Department of the Environment. The sedum plantings come from nearby Emory Knoll Farms, the only nursery in North America to focus solely on propagating plants intended for green-roof systems. The sedum plantings come from nearby Emory Knoll Farms, the only nursery in North America to focus solely on propagating plants intended for green-roof systems.